NIFTY EYES ANDROID APPLICATION LAUNCHED TO KEEP UP UPDATE ALWAYS AND ANYWHERE. price alert facilities with live market technical sms update. Anybody can download it from Google play store. If you like this application please don't forget to say your friends about this, so that they can also benefited. Movements are likely to be somewhat volatile for most part of the coming week, a truncated one due to a holiday on Thursday for Maha Shivratri, with investors looking ahead to the GDP data due to br released on February 28. The near month derivatives contracts expire on Wednesday (26 February) and this could result in some wild swings in several top notch stocks that are part of the F&O segment. The coming week will see the beginning of trading in the National Stock Exchange's volatility index (India VIX), which is based on the index option prices of CNX Nifty. On the economic front, the data on India's GDP for the third quarter ended December 2013 will be out on Friday (28 February). In the second quarter of this fiscal, the country a 4.8% surge in GDP, up from 4.4% a quarter earlier. Much before the release of the GDP data for the third quarter, investors will get to know the performance of eight core sectors in January 2014. The figures, due for release coming Tuesday, will give some insight into what is likely to be in store for the final quarter of this fiscal. With the reporting season over, the focus will mostly be on the GDP data and on developments in global markets. With top rung automobile and cement manufacturers due to come out with their monthly sales and shipments data over the next week end, shares from these two sectors will attract some attention. The rupee's movements against the U.S. dollar will provide some direction to the market in general and stocks from information technology and healthcare sectors, in particular. Nifty may face resistance around 6196 and 6265 where Fibonacci levels 61.8% and 78.6% come. As shown in daily chart below movement is corrective in nature, Therefore the up move from 5932 may terminate any of above Fibonacci level. Nifty is at crucial juncture. 5970 is very important support for nifty where it has taken twice support and currently 200 day moving average is also coming at that level. Any consecutive two close below 5970 may pull nifty towards 5400 sharply. As we wrote in our previous post that nifty is in mature stage. Really Elliott wave is a fantastic tool to predict the market. 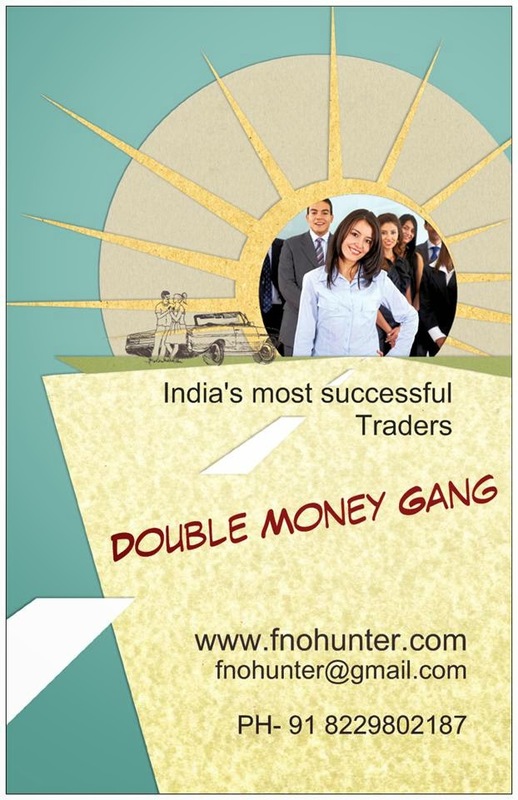 To get Our daily update and fantastic recommendation join our trading club. Nifty close around exact around 6140 support from where nifty jumped previously. Tomorrow is RBI meet. If nifty close below 6140 after RBI meet tomorrow than expect 5970 is coming soon. Strategy:- Any Bounce 50-70 points is sell opportunity. Futures and Options trading have large potential rewards, but also large potential risk. You must be aware of the risks and be willing to accept them in order to invest in the Futures and Options markets. Don't trade with money that you can't afford to lose. This is neither a solicitation nor an offer to Buy/Sell Futures or Options. The contents of this site are for general information purposes, only. The strategies/plan discussed above in this thread/site is made by me based on data which is operated and maintained by third parties. However it is tested and proved every attempt has been made to assure accuracy, but it is by me only. We assume no responsibility for errors or omissions. Examples on this site and in the manual are provided for illustrative purposes and should not be construed as investment advice or strategy. The future data manual is for informational purposes only. These predictions/tips are technical , based on charts conditions ONLY. This is only a guideline, the decision has to be taken after logical thinking by you. Technical analyst and astrologist will not be liable for any personal or financial losses or profits. The information and views in this website & all the services we provide are believed to be reliable, but we do not accept any responsibility (or liability) for errors of fact or opinion. Users have the right to choose the product/s that suits them the most. By your act of reading this independent and individual market research, you fully and explicitly agree that Rajesh Singh or My website (www.niftyeyes.blogspot.in/www.niftyeyes.in) will not be held liable or responsible for any decisions you make regarding any information discussed herein. Take a proper advice from a certified adviser before invest in future and option market. lot of precious time is saved. wish you a great sucess. Disclaimer: We have no affiliation with any of above sites and we are not recommending any. These are for informational purpose only. We have found them useful, very useful and often visit these websites. What is put call ratio and implied volatility? NIFTY TARGETING 6150 VERY SOON. FROM 6180 TO 5960 BOLDLY WRITTEN. WHAT ELSE ANALYSIS YOU WANT ?